The family of fallen cyclist Duane Darling calls on the public’s help in tracking down the hit-and-run driver who left him to die on the side of a Riverside County road. Investigators are looking for a Ford F-150 pickup with damage to the passenger-side headlight. Anyone with information is urged to call the CHP at 951/637-8000; there’s a $1,000 reward in the case. Just in time for Sunday’s CicLAvia, the Militant Angeleno offers his guide to the iconic, if truncated, route, which has been shortened due to construction on the Purple Line subway. However, he fails to include the locations of any of the other 55 Pokestops along the route. 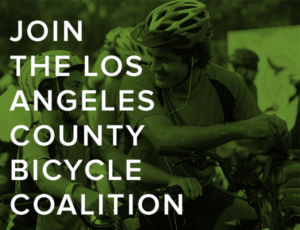 CicLAvia offers a list of feeder rides to the event. Given the heat forecast for the weekend, my feeder ride may be the Red Line. Over a dozen Virginia police officers pitch in to buy a new bike for an autistic boy after his was stolen off his porch. And a pair of Kentucky cops buy a new bike for a seven-year old girl after hers was stolen; the girl touchingly said the officers healed her heart. Evidently, it takes one to know one. Lance Armstrong makes a cryptic, one-word doping accusation when Fabian Cancellara won gold in the Rio time trial. Bradley Wiggins becomes the UK’s most decorated Olympian after winning gold in the men’s team pursuit. The Guardian looks at the impact not making their nation’s Olympic teams has on women cyclists, and what comes next for them. Damien Newton talks with Bike SGV’s Wes Reutimann. Membership in the new WeHo Pedal bikeshare costs just $69 for the first year. A two week ride to put an end to human trafficking will end in Newport Beach on September 25th. The co-founder and CEO of the Lyft car-sharing service once biked 350 miles from LA to Mono Lake, and helped raised funds for a campus bike line as a student at UC Santa Barbara. The Department of DIY strikes in San Francisco, as a group called the San Francisco Transformation Agency is taking bike safety into their own orange cone-bearing hands. Thirty bicyclists riding across the US with the Bike & Build program stopped in Stockton to work on a home. A Colorado woman wants a new mayor who won’t pander to bike riders by allowing them to rudely ride in the middle of the traffic lane, while a bike-riding Colorado lawyer offers advice on how to deal with police and angry drivers. Such as the letter writer, probably. A new Nebraska law gives bike riders the same crosswalk right-of-way enjoyed by pedestrians, as well as repealing the outdated mandatory side path rule. Evidently, cycling is an obscure sport, at least as far as a Boston writer is concerned as he ranks the greatest sports movies. American Flyers over Breaking Away? Seriously? A writer for the Boston Globe calls for cycle tracks in the city. DC is installing pocket lanes to help bike riders navigate through intersections to avoid right hooks. Tragic story from South Carolina, as a 77-year old bike rider died after riding into a ravine; he left a voice mail for his wife saying he’d crashed into a creek bed and needed help, and hung his shirt on a tree branch to signal rescuers, but wasn’t found until it was too late. A Louisiana cyclist made it about a mile onto the 26-mile Lake Pontchartrain Causeway, which prohibits bicyclists. I threatened to try riding it myself more than once when I live down there, since it would cut the ride to New Orleans down to a few scenic hours. The Florida cop who accidently shot and killed a 77-year old woman left his previous job after siccing his police dog on a bike rider. Florida cyclists wisely object to plans to place buffered bike lanes on a six lane divided highway with a 55 mph speed limit. Bike Radar asks if you’re a cycling snob. An off-duty British cop goes beyond the call of duty by stopping a thief and recovering the bike he stole, then using his own car to track down the vacationing Dutch couple it belonged to. After a Brit bike rider was knocked cold by a hit-and-run driver, paramedics leave him on the side of the road, despite a neck injury and a broken shoulder, telling him to find his own way home. A BBC TV reporter discusses his long road to recovery after a near-fatal bicycling collision; when he woke from a two-week coma, he thought he was an American race car driver in 1952. Spend your next bike vacation pedaling through the real Palestine from Tel Aviv through Jericho and Bethlehem to Jerusalem. If you can’t fix it with duct tape, it ain’t broken. If you miss not being on your bike, doesn’t that mean you wish you weren’t on it? And you’ll need to ride a bike for 50 minutes to work off the calories from the new frozen deep-fried Twinkies. Which seems like as good an excuse as any. Apparently tired of yelling at kids to get off his lawn, a writer for the Santa Monica Daily Press says the city’s Pedestrian Action Plan is all rhetoric. And insists Vision Zero is just an attempt slow traffic speeds, increase congestion and make motorists more frustrated. But at least they’ll be alive to complain about it. Santa Cruz and San Luis Obispo get a boost to the Gold level Bicycle Friendly Community status in the Bike League’s new rankings; Santa Rosa and Woodland get Bronze. And San Diego, Carlsbad and Oxnard get honorable mentions in Southern California. Meanwhile, my hometown stayed Platinum. Of course, they didn’t bother getting bike friendly until long after I stopped riding there. Not many people can claim to have put two cities on a bike path; former DC and Chicago DOT director Gabe Klein will discuss his new book on how to get it done and have fun in the process at UCLA’s Luskin Center on Thursday. San Diego’s Old Mission Beach Athletic Club has started their eighth annual Holiday Toy and Bike Drive to aid families of junior enlisted personnel. Members of the San Francisco 49ers build bikes for the team’s middle school student academy. More than 500 bikes have been donated to children who lost theirs in the Valley fire earlier this year. And a handful of outdoor companies and bike shops are joining REI in closing the day after Thanksgiving. It may have nothing to do with bicycling, but the Militant Angeleno — author of everyone’s favorite CicLAvia guides — has created a fascinating guide to the remaining Red Car remnants. If he’d ever take that mask off, I see an epic bike tour in the making. 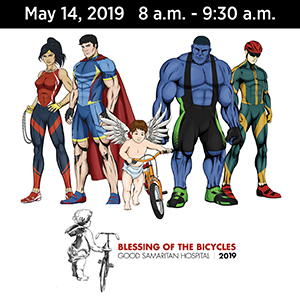 The latest Bike Talk podcast talks Equity and the Bike with the LACBC’s Tamika Butler, Rio Contreras of Multicultural Communities for Mobility and CSULA Professor Adonia Lugo. 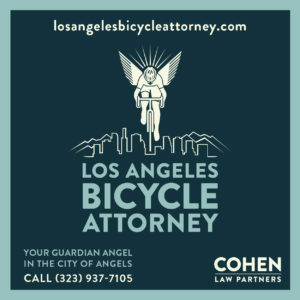 The UCLA Bicycle Academy criticizes the marketing director of the UCLA Health System for missing an opportunity to promote greater health by sponsoring Santa Monica’s Breeze bikeshare system. LA Curbed looks at people’s reactions to Breeze on Twitter, where the response seems to be universally positive. A San Francisco cyclist and an 89-year old man both suffered head injuries when they collided while the man was crossing Market Street on Friday. It may or may not have been the rider’s fault, but always ride carefully around pedestrians — especially kids and the elderly, who can be both fragile and unpredictable. Bikeshare is central to the Bay Area’s better, faster and more flexible new mobility. A road raging Dr. Thompson wannabe faces charges for brake-checking a group of cyclists after attempting to block their path in Marin County. Maybe you’ll be able to watch bike racing on TV after all. NBCUniversal promises to pick up the events formerly broadcast on the now defunct Universal Sports Network. A San Antonio man has been found guilty of murdering his roommate in a dispute over a bicycle and an unlocked gate. A Minneapolis report concludes there are barriers keeping minorities from bicycling, including affordability, access and lack of education on rules of the road. LA continues to fall further behind; while we’re just beginning to get bikeshare, Minnesota’s Twin Cities are already getting canoeshare. 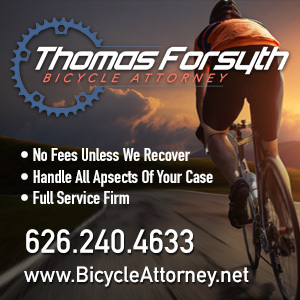 An Ohio drunk driver gets nearly five years for killing a cyclist, while a Vermont woman gets probation and just 80 hours of community service for a similar crime. Maybe if the Ohio driver was married to a cop, he might have gotten away with it, too. Hundreds of New Yorkers march to remember the victims of traffic violence, while joining the call to refer to them as crashes, not accidents. Some good can come from even the worst tragedies, as a Mississippi firefighter badly disfigured by burns received the face of a New York bike messenger killed in a wreck. That’s why I signed up as an organ donor, although I doubt anyone would want this face when I’m done with it. An Ottawa writer says forget the debate over ghost bikes and adopt Vision Zero instead. British traffic calming efforts, including lowering speed limits to 20 mph, cut traffic fatalities in half over a 13 year period. A Brit thief gets the bite on a bike shop owner who chased him down to recover a customer’s phone. A British website looks at the unwritten rules of the pro peloton. Caught on video: What it’s really like to bike in Belfast, where police get the law on riding abreast wrong. Not unlike some police and sheriff’s deputies right here in sunny SoCal. Seriously? Irish cyclists face an on-the-spot 40 euro fine for riding with headphones, even though it’s not illegal. One year later, that solar panel-paved Dutch bike path is a success, putting out enough energy to power three homes. Interesting idea from a Danish company, as they have a new Kickstarter for wireless, frictionless generator bike lights. Pakistan swears it won’t take part in Olympic track cycling qualifying in India due to internal issues, and not the ongoing enmity between the two countries. Sure, let’s go with that. An Indian woman is encouraging others to bike to work just like she does, despite the country’s congested roads. Call it Genghis’ revenge, as two Brit teenagers are forced to abandon a trip retracing the legendary Mongol leader’s longest invasion route when digestive issues set in near China. Bad enough that we have to dodge angry drivers, now the trees are out to get us. If at first you don’t succeed, steal the same bike again. And if you’re going to steal a macaw to feed your drug habit, don’t try to make your getaway with the purloined parrot on your handlebars.